My first tip for non-stop energy is GOING GREEN! Check out my blog from Valentine’s Day and see why going green is one of the best things you can do for yourself. 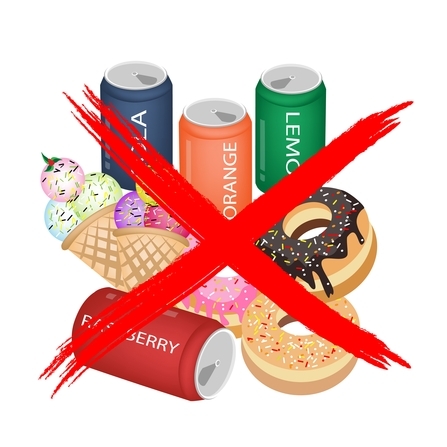 My second tip is…throw out the sugar. Americans are eating 110 pounds more sugar a year than we were 100 years ago, and that difference is making us sick, fat, depressed and susceptible to serious illness and disease. It’s hard for some of us to just “cut back a little” on sugar. What I tell my clients is, eliminate it from your life. Start by eliminating it for 21 days, because it’s important to allow yourself to notice the difference in how you feel and the wild energy you’ll experience after sugar is out of your system. Most of us have heard the news about Paula Deen’s diabetes, and surmise that her diet is a huge part of the culprit for why she’s sick. Of coarse, genetics do matter. But we can’t control genetics. we can only control what we put in our mouths. And we can control what we eliminate from our bodies, by way of techniques and tools that assist elimination, like lymphatic drainage therapy, colon cleanses and colonics, saunas, steam baths, salt baths and herbal programs that support our livers and kidneys. The most pro-active thing you can do to eliminate sugar from your life is, clean out your kitchen and your pantry. Throw out processed foods that have hidden sugars, like catsup. You can find catsup at the health food store that does not have sugar, so don’t worry that this is about deprivation and starvation! No way. Just consciousness and intention, and the willingness to make our bodies and our immune systems, our nervous systems and all our organs of elimination a priority in our life. After all, they are the key to our health and happiness. If our kidneys are not happy, we are not happy. If you can find a detox partner, a friend or mate who’s willing to hang out in your kitchen and throw out the crap, while you do the same for them, your chances of success on this program multiply by one hundred! I would not be writing you this blog, filled with energy and enthusiasm for what I’m feeling and living, without the incredible detox partners who have been there with me through thick and thin. YOU ARE NOT ALONE! We are all in this together! See Happy-Gut Tip #8: Order in the Kitchen!